1 Who is Omar Borkan Al Gala? 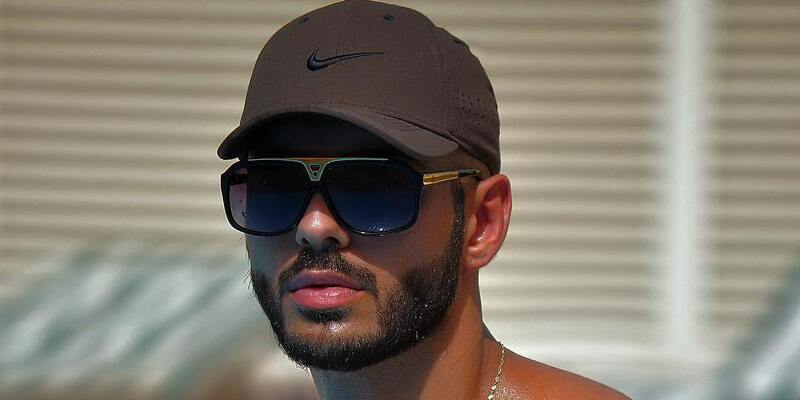 5 Do You Know How Rich Omar Borkan Al Gala Is? Who is Omar Borkan Al Gala? Omar Borkan Al Gala was born on 23 September 1990, in Baghdad, Iraq, and is a poet, photographer and model, perhaps known primarily for his exceptional looks, which made him a star across the world. He is also known for his luxurious lifestyle, enjoyed in mansions and sports cars. Last night look at the @itpliveme 1 year anniversary.. should I go back to this ? Although born in Baghdad, Omar and his family moved to Dubai, where he grew up with his younger brother, Aid Borkan Al Gala, who is now a part of the entertainment industry, as Aid also pursued a modeling career. Omar went to Abu Obaida Ahjarah Public School in Dubai, and after matriculation enrolled at Faculty Executive Hotels International Institute to study hotel management, and later continuing his study in Vancouver, Canada. At just 18, Omar was noticed by several modeling agencies in Saudi Arabia, and once he moved to Canada, his career reached a whole new level. He became the face of a number of popular brands, including Samsung, gradually becoming more popular, which resulted in new modeling gigs, but also appearances in several short-films alongside successful actor Navid Negahban. Omar reached prominence in 2013, when he was asked to leave a cultural festival in Saudi Arabia for being too handsome. After this incident, he made the world believe that he was deported from Saudi Arabic for being ‘too hot’, while actually he just left the festival. Still, Omar’s name started appearing in a number of popular online and printed publications, such as Independent and Huffington Post, among others. He continued his career, but after two years revealed the truth about the incident and admitted that it was him and two other men that were removed from the festival. Since then, Omar has enjoyed success across the world, and has lived a controversy-free life in Canada. Unfortunately, he hasn’t revealed much about his career since then, though we know that he has collaborated with fashion designer Paco Rabanne, and the fashion collection Ermenegildo Zegna, and has appeared in Ahlan Magazine, among many other differing career accomplishments. Do You Know How Rich Omar Borkan Al Gala Is? Since launching his career, Omar has reached prominence thanks to his good looks, but also through his smart career moves and investments. He now has two mansions in Dubai and a collection of sports cars, including Lamborghini, Audi and Porsche. So, have you ever wondered how rich Omar Borkan Al Gala is, as of mid- 2018? According to authoritative sources, it has been estimated that Al Gala’s net worth is as high as $10 million. Pretty impressive don’t you think? When it comes to his personal life, Omar has been quite open about ups and downs that happen to him away from the limelight. Since 2015 he has been married to fashion designer Yasmin Oweidah, and the two welcomed their first child, a son Diyab Borkan in 2016. One of Omar’s hobbies include’s collecting high-class cars, and in addition to Lamborghini, Audi and Porsche, he also owns a Mercedes G55, a luxury SUV given for his 25th birthday. Since launching his career, Omar has become a social media star, with millions of fans across the three most popular social media platforms. His official Facebook page has over 2.4 million followers, who have enjoyed posts in regards to his career, but also that showcase his daily life, including an early breakfast in Dubai. Omar is also active on Instagram, with over 1.1 million fans, and has used this social media network also to promote his career and inform his fans about the latest happenings in his personal life. He has recently posted a picture of himself and his wife and son, enjoying a good time at the Yas Beach, among many other posts, which you can see on his official page. Omar can also be found on Twitter, though he is yet to build as significant a following on this social media network, as he only has around 80,000 followers, and have shared his personal ideas and opinions, including about the weather in Dubai. So, if you aren’t already a fan of this prominent model, then this is a fantastic opportunity to become one, just skip over to his official pages.